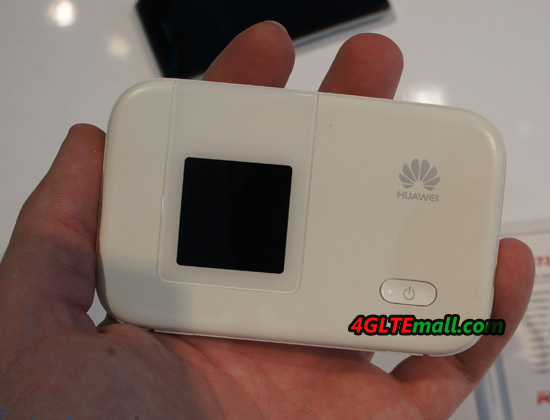 We are glad to inform the wireless users that Huawei released a new 4G 150Mbps LTE mobile hotspot. The model is Huawei E5372 for LTE category 4. Today, let’s have a look what the LTE cat4 mobile WiFi could bring us. The Huawei E5372 LTE Cat4 mobile WiFi was first presented to public a one month ago on MWC 2013. This time, it’s in white color. In our memory, black color is the classic color for Huawei E5 Mobile WiFi. Per the official saying, Huawei E5372 is the smallest LTE cat4 Mobile WiFi. So even E5372 is in pocket size, it’s still much smaller than its predecessors, such as Huawei E589 Mobile Pocket WiFi and Huawei E5776 LTE Cat4 Mobile Hotspot.